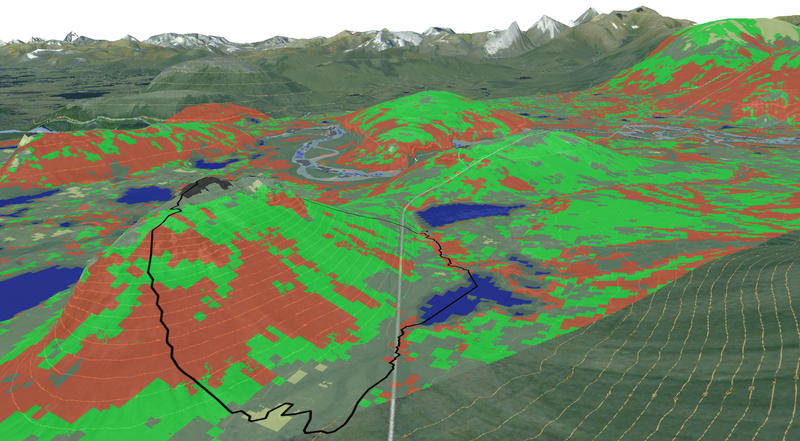 February 4, 2019—A team of scientists led by Oak Ridge National Laboratory used machine learning methods to generate a high-resolution map of vegetation growing in the remote reaches of the Alaskan tundra. They used artificial intelligence to combine satellite imagery, synthetic aperture radar, topography and other data to produce a more accurate representation of changing Arctic plant communities and compared it with traditional ground-based measurements. “We used unsupervised classification techniques with the ORNL-developed Mapcurves scheme to label the types of vegetation,” said ORNL’s Forrest Hoffman. “Then, we trained a deep neural network to produce a new map of vegetation communities with 95 percent accuracy compared to field observations.” The new data will inform field sampling expeditions as well as ecosystem modeling and analysis as part of the Department of Energy’s Next-Generation Ecosystem Experiments-Arctic project. These machine learning methods, published in Remote Sensing, can be applied to other regions.